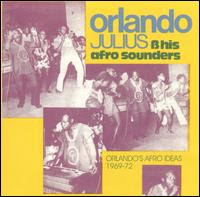 Few artists have been as crucial to the invention, development, and popularization of Afro-pop than Orlando Julius. Starting in the '60s, Julius was fusing traditional African sounds and rhythms with those of American pop, soul, and R&B. Aside from performing and recording in his native Nigeria, he spent many years in the United States working on collaborations with Lamont Dozier, the Crusaders, and Hugh Masekela. His 1966 effort, Super Afro Soul, made him a national celebrity in Nigeria and even went so far as to influence music in the United States. The record's dramatic, highly melodic incorporation of soul, pop, and funk was very much ahead of its time, and some say that Super Afro Soul helped shape the funk movement that swept over the United States in subsequent years. After Super Afro Soul, Julius released a long list of records exclusively in Nigeria and from them received a great amount of local fame. He went largely unnoticed by the international community until 2000, when Super Afro Soul was re-released on Strut and distributed throughout the world to wide critical acclaim.